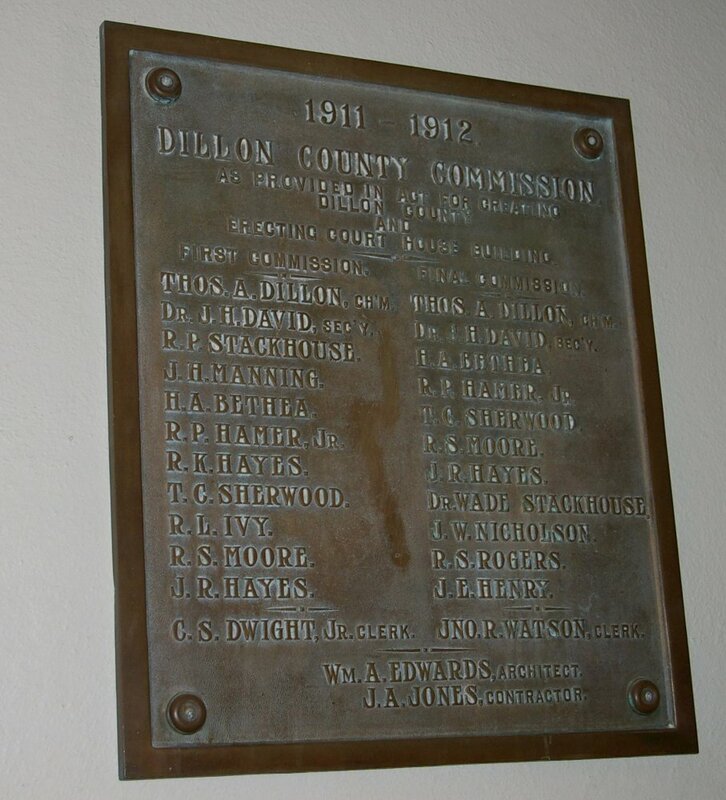 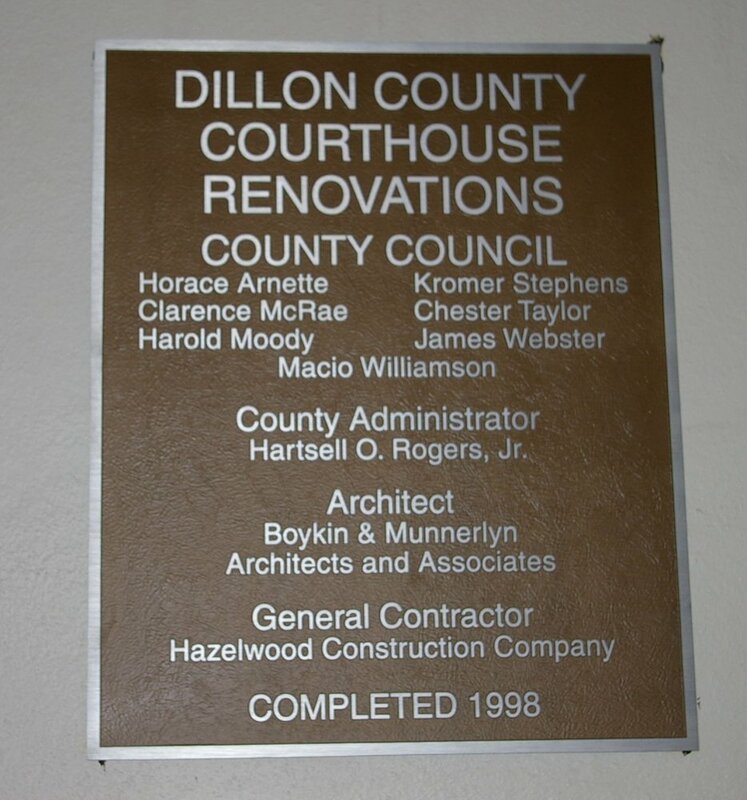 Dillon County is named for J W Dillon, who was a local booster for the county. 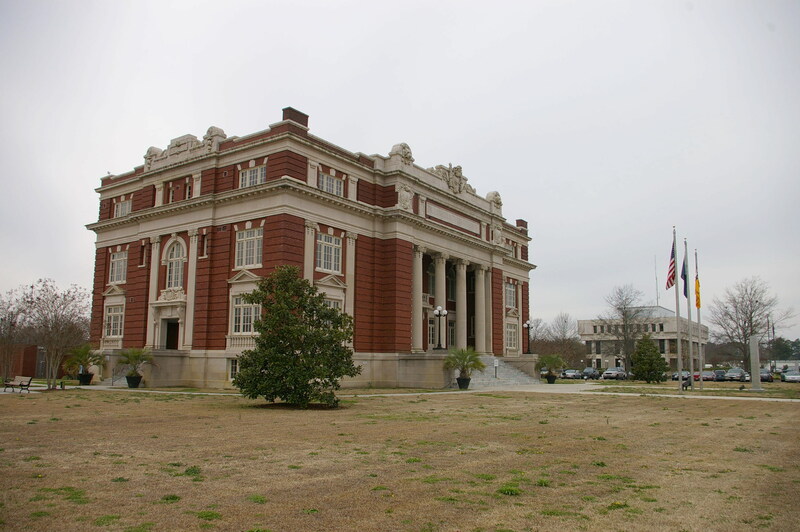 Description: The building faces northeast and is a two story dark red colored brick structure. 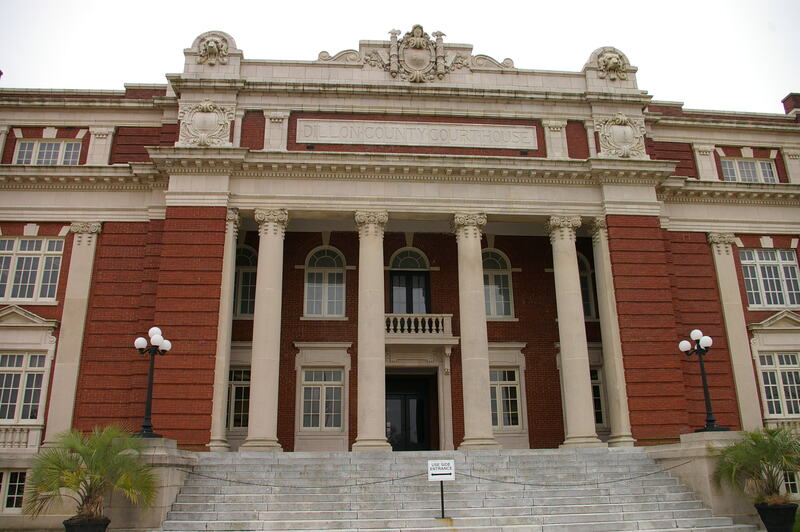 The building has a porch supported by four large columns with a wide stone and brick header. 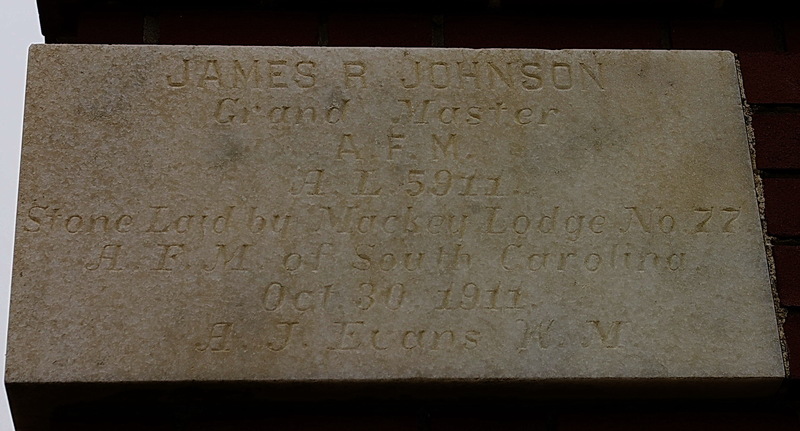 At the top is a large crest. The doorway is recessed with a balcony above. Vertical stone bands run on either side of the windows. 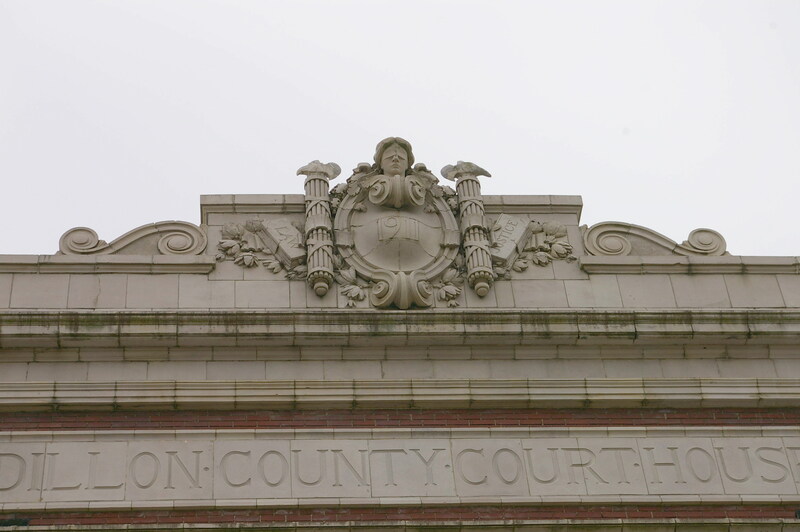 The base of the building is light colored stone. 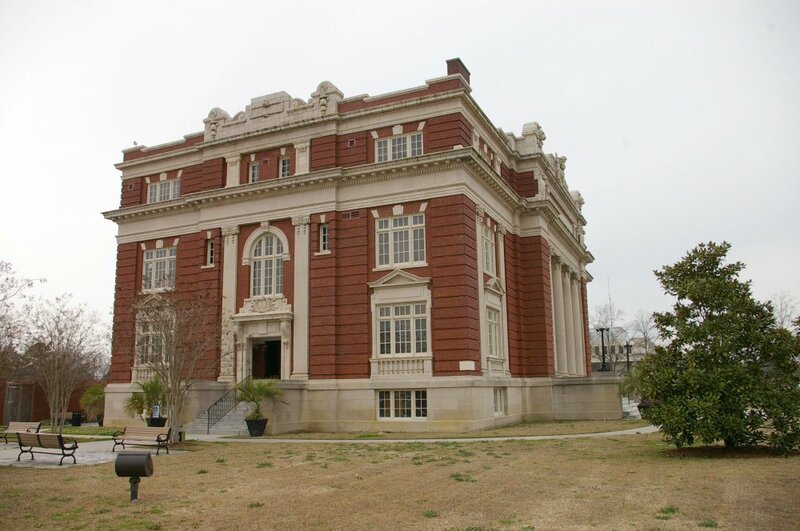 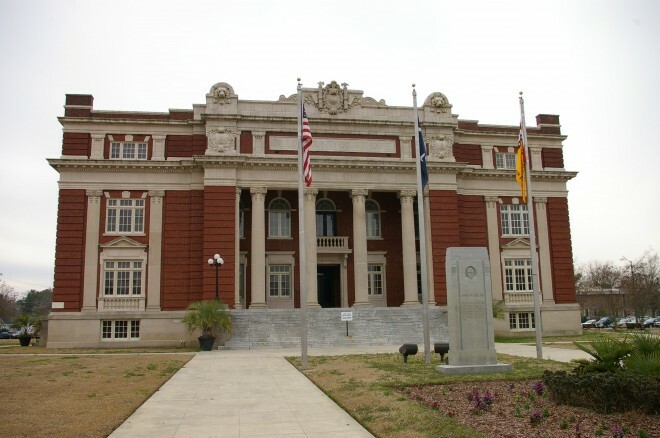 Note: Other courthouses designed by William Augustus Edwards are located in Abbeville County, Calhoun County, Jasper County, Lee County, Sumter County and York County.